Many would argue that sugarcane produces a superior sugar but it is only grown in tropical regions. If you are lucky enough to live in a zone that is warm year-round, this tasty member of the grass family can be fun to grow and produce an amazing source of sweetness. 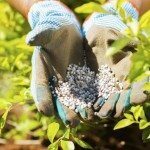 Along with site selection and general care, you will need to know how to fertilize sugarcane. Sugarcane nutrient requirements will vary a bit depending on soil, so it is best to do a soil test before embarking on a feeding regimen. Studies have shown the main sugarcane nutrient requirements are nitrogen, phosphorus, magnesium, sulfur and silicon. The exact amounts of these nutrients depend upon your soil, but at least it’s a place to start. The soil pH will affect the plant’s ability to absorb and added nutrients and must be 6.0 to 6.5 for optimal results. Other factors will affect the exact amount of nutrient absorbed, such as heavy soil, which can minimize uptake of nitrogen. If all factors are considered and amended, a general guideline on feeding sugarcane plants will help develop an annual fertilizer program. While two main macronutrients are very necessary for sugarcane production, potassium is not an issue of concern. As a grass, the number one nutrient necessary when fertilizing sugarcane is nitrogen. Just as with your lawn, sugarcane is a heavy nitrogen user. Nitrogen should be applied at 60 to 100 pounds per acre (27 to 45 kilos/.40 ha). The lower amount is for lighter soil while the higher amount is in heavy soils. Phosphorus is the other macronutrient sugarcane fertilizer should contain. The recommended amount is 50 pounds per acre (23/.40 ha). A soil test to pinpoint the actual rate is essential because excess phosphorus can cause rust. Often micronutrients are found in the soil, but when cropping, these get depleted and require replacement. Sulfur use is not a nutrient additive but is used to reduce soil pH where necessary in order to enhance absorption of nutrients. Therefore, it should only be used after a pH test to amend soil. Similarly, silicon is not essential but can be beneficial. If soil tests low, current recommendations are 3 tons per acre/.40ha. Magnesium can come from dolomite to maintain a soil pH of at least 5.5. All of these require soil testing for optimal nutrient levels and may change annually. When you feed sugarcane can mean the difference between a useful endeavor and one that is a waste of time. Fertilizing sugarcane at the wrong time can cause burning. An initial light fertilizing is done when canes are just coming up. This is followed by increasingly high in nitrogen applications in 30 to 60 days after planting. Feed plants every month thereafter. It is important to keep plants well watered after feeding to help nutrients percolate into soil and translate to roots. Organic manures are a great way of giving plants the nitrogen boost they need. These need to be applied less frequently, as they take time to break down. Use as a side dress along the crop’s root margins.